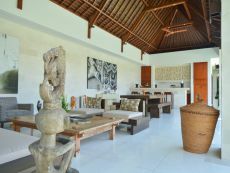 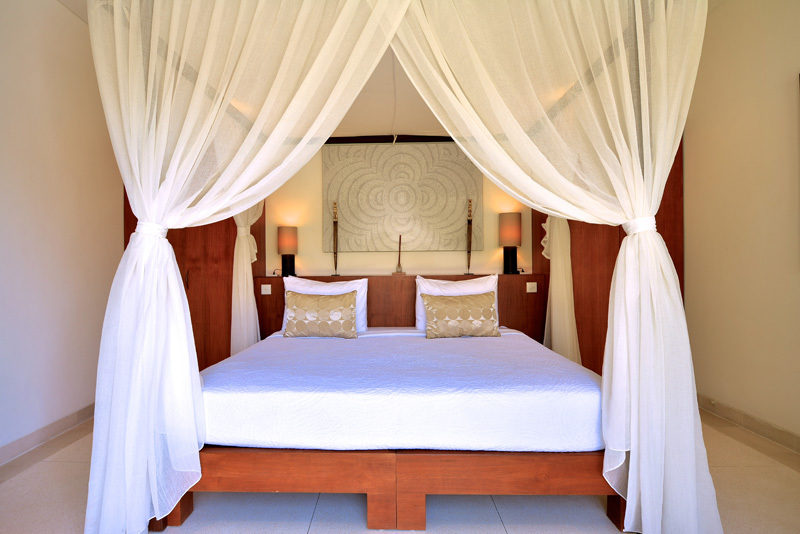 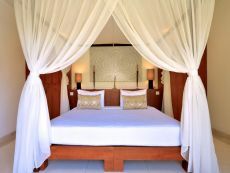 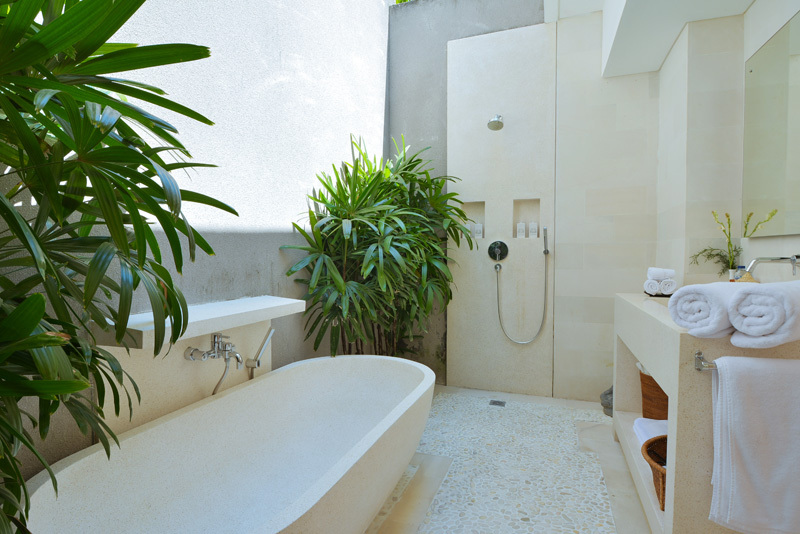 This 2-bedroom villa provides you both intimacy and luxury in the heart of Seminyak, Bali. 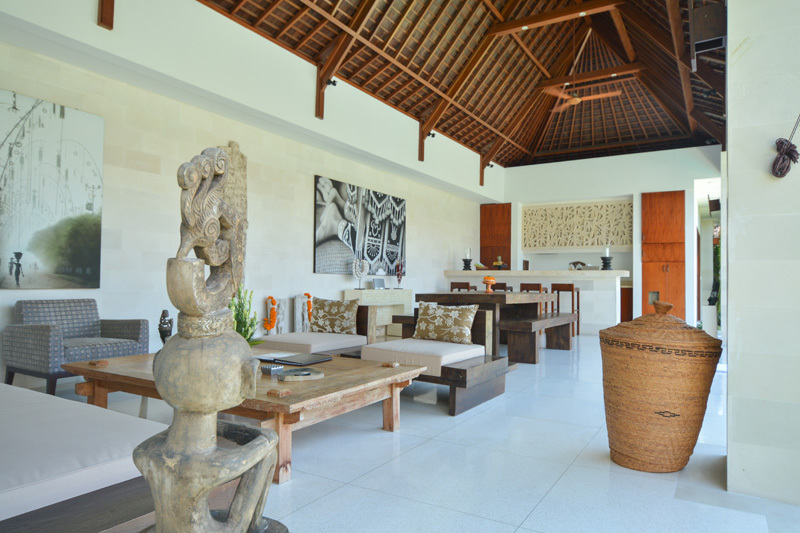 With the 2-bedroom Villa Chocolat, you can either way enjoy a day at the beach, a dinner in a fancy restaurant or shop around the trendiest boutiques of Bali, all of these being at walking distance of your luxury accommodation in Seminyak. 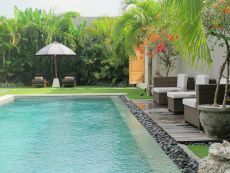 The latter offers you a total haven of peace and privacy, with its own 75 square meter swimming pool shaded by a spacious tropical garden. 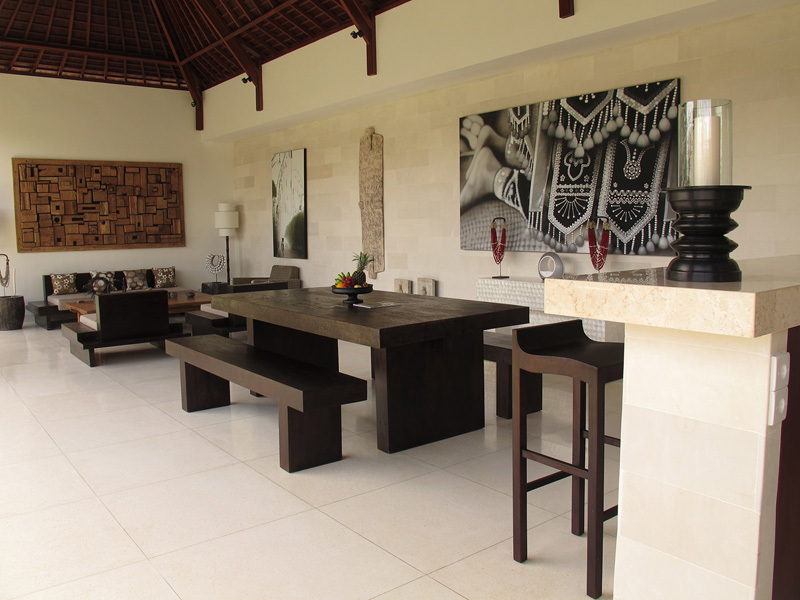 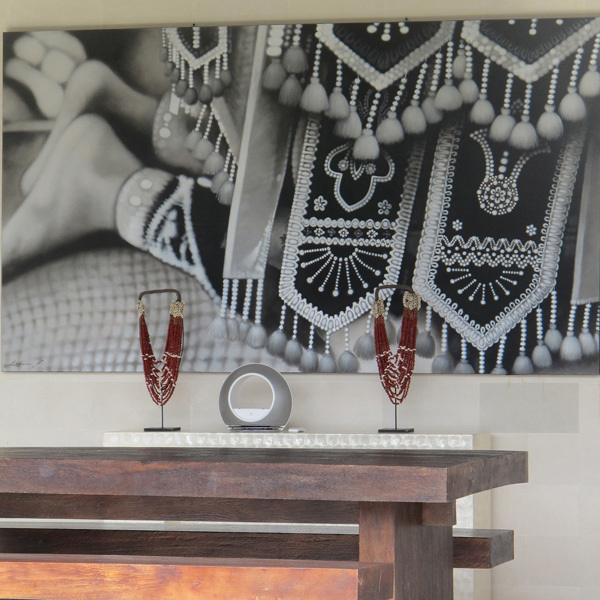 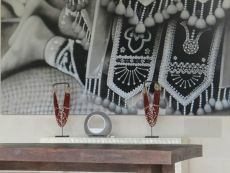 Sobriety and timelessness compose the interior modern scenery of the luxury 2 bedroom Villa Chocolat, which also includes accents of Bali arts. 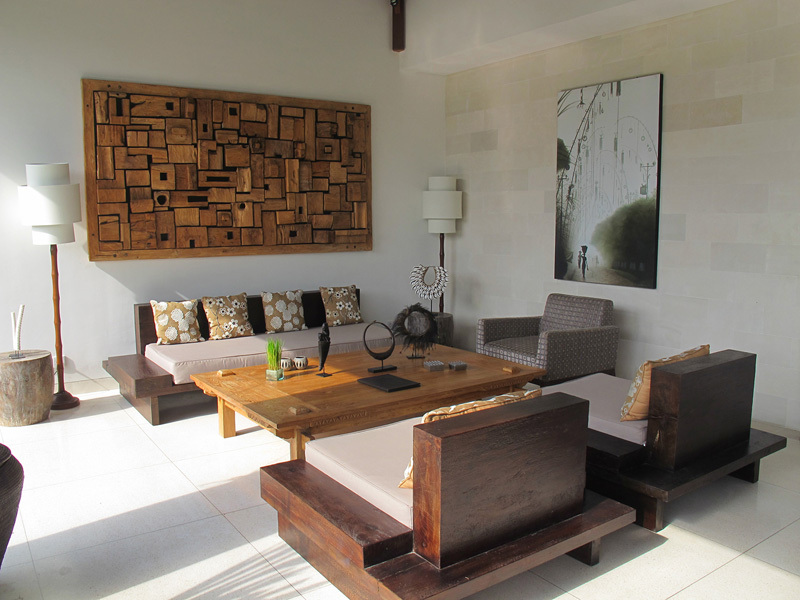 Sober colour tones enhance the inherent luminosity, highlighted by the blend of mole grey, beige and green. 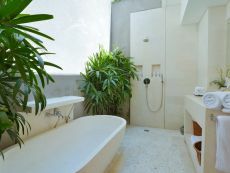 The staff of the 2-bedroom Villa Chocolat is dedicated to you, and their goal is to make you spend the most perfect, luxury, relaxing and lively holidays in Seminyak, in Bali, the Island of Gods. A car driver is even at your disposal if you wish to discover more about Bali’s various areas and traditions. Are you looking for a larger private villa in Bali? 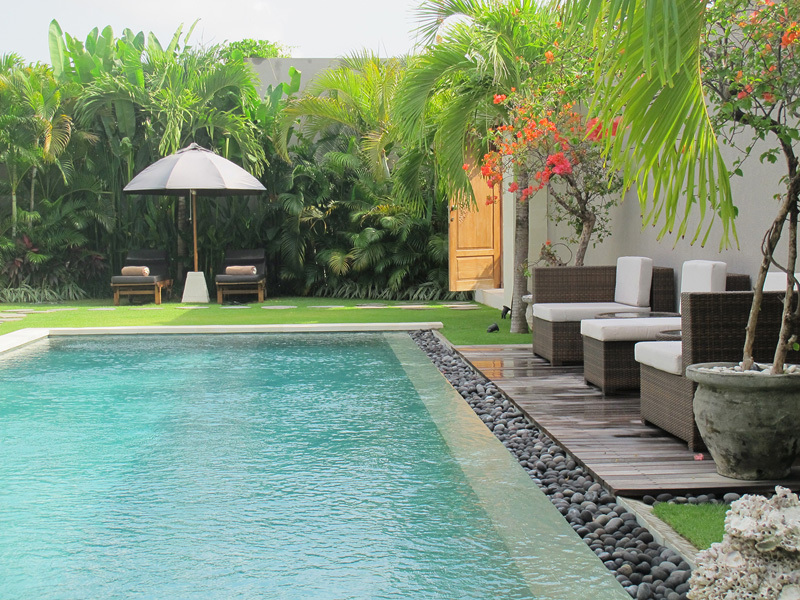 Discover our 5-bedroom Villa Chocolat, also located in the heart of Seminyak.